Delhi will soon have a sprawling new Aerospace Museum close to the international airport focused mainly on Nation’s rich aviation history. 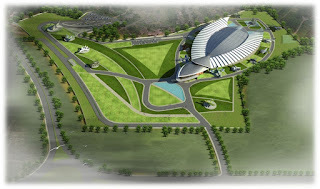 New Aerospace Museum is not only meant to preserve the glorious tradition of the IAF but also to create awareness in general public about India’s rich Aerospace heritage. The IAF believes that the Museum would be a popular tourist attraction and a landmark in India’s capital city. A proposal for new Air Force Aerospace Museum was cleared by Ministry of Defence and final financial sanction on the Detailed Project Report is awaited. After the approval, the new museum would be ready for the tourists within 3-5 years. Spread over 43 acres, the new Aerospace Museum would have extensive indoor and outdoor displays including huge aircraft parked and hanging in flying attitude with mural depicting the golden era. A dedicated children’s area would be part of the museum where children could enter cockpits of displayed aircraft and get the feel of flying controls. A video arcade would also be created. As per the plan, the internal displays would have a history section in which all IAF Squadrons’ history would be displayed along with aviation legends, major campaigns and wars fought by the IAF. Along with this history, major Humanitarian Assistance and Disaster Relief operations undertaken by the IAF would also be highlighted. 500 tourists daily and exhibits details about combat operations undertaken by the IAF depicting IAF’s rich history since its formation in 1932 to present date, along with the display of various aircraft and equipment on the IAF’s inventory, since its inception.